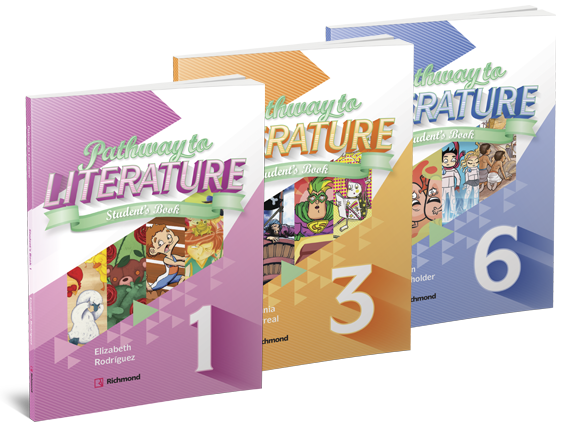 Pathway to Literature is a literature course designed to accompany our primary series. Pathway to Literature is a literature course designed to accompany our primary series. Each level is full of stories and comics that will expand students’ vocabulary and build on their knowledge of common expressions. Colorful illustrations, fascinating characters, and a variety of genres will help students to enjoy reading in English. Pathway to Literature comes with a digital manual for teachers to guide the development of students’ reading skills. Each unit provides three core lessons and two extra lessons with integrated skills and cross-curricular extension activities.